What seems most bizarre about this, in a 21st century world of technology and instant gratification that remains fascinated by space exploration and its future possibilities, is that Easter is determined by the moon. OK, that’s putting it a little simply. But it is the lunar calendar and the Spring Equinox that guide when Easter falls. Now we do all know that the Spring Equinox always falls on 21 March. Don’t we… So Easter falls on the Sunday after the full moon has appeared on or after the Spring Equinox. Simple really. You just need to know your waxing from your waning and your GMT from your BST. Either way, Easter 2019 is right around the corner. So be quick if you haven’t booked that bucolic farm stay just yet. And if you have, then you’ll be looking for what’s on while you’re away. Now this isn’t as non-PC as it sounds. Nutters, full name Britannia Coconut Dancers, are a dance troupe who wear clogs and blacken their faces as part of their costume, which also incorporates wooden bobbins (more on those later). And Bacup is not a typo, it’s the genuine spelling of a Lancastrian town. The Nutters of Bacup were originally employees of local Lancashire coal mines, the blackening of their faces thought to reflect their trade. It takes work socials to a whole new level. Anyway, every Easter the Nutters dance their way through Bacup, tapping each other’s wooden bobbins (primitive percussion) and waving garlands in the air. The dance goes on for hours, so you’ll struggle to miss it. And if you’re still not sure what you’re looking for, think Morris Dancing. Sticking with the left-field activities for the moment, you may well have visited the Victorian village at Blists Hill – think school history trips, history costume days, industrial revolution – or the nearby Iron Bridge that the neighbouring town is named after. But unless you’ve visited at Easter this Victorian Easter tradition may have passed you by. Until now. Watch the Victorian townsfolk dance blindfolded from one side of the cobbled street to the other without stepping on the eggs laid in their way. Sound fun? Egg-cellent (sorry!). Because you then get to have a go too! Come prepared wearing your Easter bonnet (there’s a competition). And if you’re of the arty type, decorate an egg ready for the egg rolling championships later in the day. Obviously if you’re all egged-out, there are myriad Victorian inspired activities and displays on offer over Easter weekend. So this leads us nicely to the seemingly more popular concept of egg rolling. It happens all over the country – with hard boiled eggs, you’ll be relieved to hear. Typically, you’re asked to decorate your egg beforehand – makes sense really if you consider how many eggs might be involved and the chances of finding yours in amongst a pile at the bottom of the hill… So if you fancy testing your egg decorating skills alongside your egg rolling skills, make your way to one of these egg rolling events this Easter. It’s as simple as it sounds: hard boiled egg rolling down Wittenham Clumps. “The Clumps” as they are affectionately known locally are just over the road from the Earth Trust, so there’s ample parking. Plus, the views from the top of the copse are quite stunning. And there’s always the opportunity to roll yourselves down the slope too. You can always rely on the National Trust to serve up some wondrous Easter activities that’ll entertain and exhaust the kids in the surrounds of our beautiful and lovingly maintained countryside. If you find yourself in or around this striking northern city, you won’t be stuck for activities and you’ll be surprised at the range of architecture, shopping opportunities and eateries to amuse you all. But catch the bus into the centre for egg decorating and rolling at Leeds City Museum. Spend a few hours there and you’ll come away with an ever greater love for this city, its history too. If you can’t escape the big smoke, Lauderdale House in Highgate, north London should be your target on Easter Sunday. 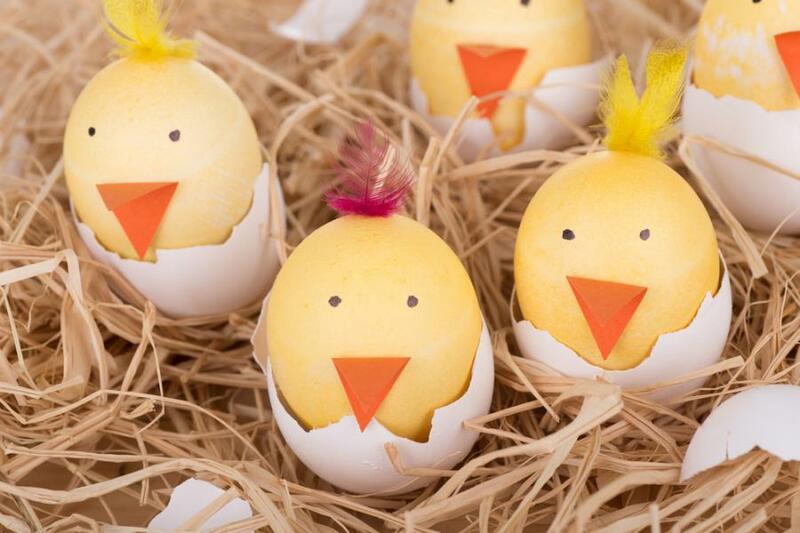 It will have egg decorating, egg rolling and easter egg hunting activities across the weekend. Sail over to the Island for a 3 day Children’s Festival from 10 – 12 April 2019. Kids get to choose from a myriad of activities including building a rocket, throwing some shapes at a silent disco or watching a production of Tom Thumb. If in doubt – book in for the lot! If your family is on a sugar ban – this is the activity for you. Not a chocolate egg in sight on the Festival’s timetable of events that you can see here. And finally, for those seeking a more intellectually challenging Easter event, make your way to Kentwell Hall for the annual ‘eggheads’ quiz. Going for more than 30 years give it your all, but make sure you’ve toured the house and grounds first. The quiz is compiled by the hall’s owner, so good luck beating him! As most of these events offer chocolate Easter egg prizes somewhere along the way, rest assured you’ll be sated with chocolate this Easter, even if your egg rolling skills leave something to be desired. Have fun!